Do you know anybody with chronic kidney disease? Chances are you do. 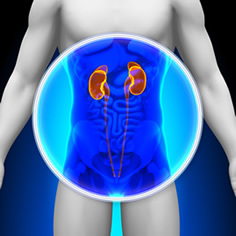 There are over 26 million Americans with chronic kidney disease. Most cases are caused by either high blood pressure or diabetes. So the treatment for it is to control these diseases better. But there is no specific treatment for chronic kidney disease. That's why so many cases will continue to worsen. As a result, most doctors focus on trying to slow down the progression. Well, you don't have to go to the doctor for help. 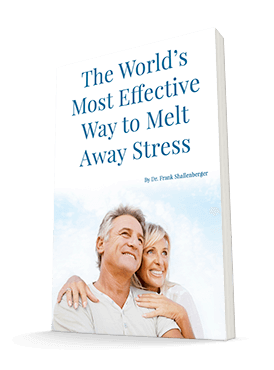 There's a simple remedy that everyone has in their house that, amazingly enough, can significantly slow the disease down. Researchers looked at 134 men and women with chronic kidney disease. They gave half of them a supplement of baking soda. The doses ranged between 1/4 teaspoon to 1/2 teaspoon per day for two years. It turned out that the baking soda did pretty well. Their kidney disease progressed only one-third as much as the ones who did not get the baking soda. But it gets better. Of those that didn't take any baking soda, 45% of them had a very rapid deterioration of their disease. Compare this to the baking soda group. Only 9% of them had a rapid deterioration. In addition, the authors noted that the nutritional state of the baking soda patients was also better. In their words, "This study demonstrates that bicarbonate [baking soda] supplementation slows the rate of progression of renal failure to end-stage renal disease and improves nutritional status among patients with chronic kidney disease." So if you have chronic kidney disease, be sure to discuss with your doctor if you are cleared for baking soda therapy. If Big Pharma could patent baking soda, it would be way too expensive for any of us to even think of buying. But since they can't, it still remains an effective, safe, and unbelievably inexpensive medical therapy for a difficult problem. You can buy baking soda at any grocery store. Add the baking soda to water and sip it slowly over a 15-20 minute period. Sodium bicarbonate does react with stomach acid, so drinking it too fast increases your risk of having an upset stomach. Talk to your doctor about how long you should continue taking this mixture. de Brito-Ashurst I, Varagunam M, et al. Bicarbonate supplementation slows progression of CKD and improves nutritional status. J Am Soc Nephrol. 2009 Sep;20(9):2075-84.